Peterson, Gloria. An Administrative History of Abraham Lincoln Birthplace National Historic Site. 107 p., 1969. Dorr, George B. Acadia National Park: Its Origin and Background. Bangor: Burr Printing Co., 1942. 76 p.
Dorr, George B. Acadia National Park: Its Growth and Development. Bangor: Burr Printing Co., 1948. 46 p.
Freiberg, Malcolm. From Family to Nation: The Old House Becomes the Adams National Historic Site. 34 p., 1986. Cockrell, Ron. Bones of Agate: An Administrative History of Agate Fossil Beds National Monument, Nebraska. 311 p., 1986. Lawing, Hugh A. Andrew Johnson National Historic Site. 23 p., 1963. Binkley, Cameron. Administrative History: Andrew Johnson National Historic Site. 140 p., 2008. Snell, Charles W., and Sharon A. Brown.Antietam National Battlefield and National Cemetery, Sharpsburg, Maryland: An Administrative History. 571 p., 1986. Jordahl, Harold C., Jr. A Unique Collection of Islands: The Influence of History, Politics, Policy and Planning on the Establishment of the Apostle Islands National Lakeshore. 863 p., 1994. Foster, Charles H. W. The Appalachian National Scenic Trail: A Time to Be Bold. Harpers Ferry, WV: Appalachian Trail Conference, 1987. 232 p.
Carrara, Gregorio S.A. Arkansas Post National Memorial Administrative History. 20 p., 1976. Mackintosh, Barry. Assateague Island National Seashore: An Administrative History. (HTML edition) 210 p. plus illustrations, 1982. Lister, Robert H., and Florence C. Lister. Aztec Ruins National Monument: Administrative History of an Archeological Preserve. (PDF) (HTML edition) Southwest Cultural Resources Center Professional Papers no. 24. 313 p., 1990. Mattison, Ray H., and Robert A. Grom. History of Badlands National Monument and The White River (Big) Badlands of South Dakota. Ed. by Joanne W. Stockert. Interior, SD: Badlands Natural History Assn., 1968. 78 p.
Shuler, Jay. A Revelation Called The Badlands: Building a National Park, 1909-1939. Interior, SD: Badlands Natural History Assn., 1989. Rothman, Hal. Bandelier National Monument: An Administrative History. (PDF) (HTML edition) Southwest Cultural Resources Center Professional Papers no. 14. 167 p., 1988. Mattes, Merrill J. "From Ruin to Reconstruction, 1920-1976." The Colorado Magazine 54, no. 4 (1977): 57-101. Jameson, John R. Big Bend on the Rio Grande: Biography of a National Park. New York: Peter Lang, 1987. 171 p.
Jameson, John R. "From Dude Ranches to Haciendas: Master Planning at Big Bend National Park, Texas." Forest & Conservation History 38, no. 3 (July 1994): 108-17. Welsh, Michael Landscape of Ghosts, River of Dreams: A History of Big Bend National Park. (HTML) Washington, DC, National Park Service, 437 p. 2002. Catton, Theodore. Commemoration and Preservation: An Administrative History of Big Hole National Battlefield. (PDF) (HTML edition) 187 p. plus appendices. 1999. Cazine, James J., Jr. Assault on a Wilderness: The Big Thicket of East Texas. 334 p. Ph.D. dissertation, 1976. Beidleman, Richard G. Administrative History of the Black Canyon of the Gunnison National Monument. 234 p., 1965. Jolley, Harley E. The Blue Ridge Parkway: Origins and Early Development. 305 p. Ph.D. dissertation, 1964. Jolley, Harley E. The Blue Ridge Parkway. Knoxville: University of Tennessee Press, 1969. 172 p.
Mackintosh, Barry. Booker T. Washington National Monument: An Administrative History. 160 p. plus illustrations, 1969. Compton, Neil. The Battle for the Buffalo River. Fayetteville: University of Arkansas Press, 1992. 481 p.
Pitcaithley, Dwight T. Let the River Be: A History of the Ozark's Buffalo River. 133 p., 1987. Lehmann, Susan C. An Embarrassment of Riches: The Administrative History of Cabrillo National Monument. San Diego: Cabrillo Historical Assn., 1987. 157 p.
Brugge, David M., and Raymond Wilson. Administrative History: Canyon de Chelly National Monument. (HTML edition) 264 p. plus appendix, 1976. Richardson, Elmo R. "Federal Park Policy in Utah: The Escalante National Monument Controversy of 1935-1940." Utah Historical Quarterly 33 (Spring 1965): 109-33. Schmieding, Samuel J. From Controversy to Compromise to Cooperation: The Administrative History of Canyonlands National Park. 293 p., 2008. Burling, Francis P. The Birth of the Cape Cod National Seashore. Plymouth, MA: Leyden Press, 1978. 67 p.
Frye, Bradford. From Barrier to Crossroads: An Administrative History of Capitol Reef National Park. Vol. 1, Vol. 2 (PDF) (HTML edition) Southwest Cultural Resources Report No. 12, 1998. Thow, Jonathan S. Capitol Reef: The Forgotten National Park. 170 p. M.S. thesis, 1986. Hunner, Jon and Shirley G. Lael. Capulin Volcano National Monument: An Administrative History, Intermountain Cultural Resource Management Professional Paper No. 67, 149 p., 2003. Gale, Bennett T. Historical Sketch, Carlsbad Caverns National Park. 50 p., 1952. Clemensen, A. Berle. Casa Grande Ruins National Monument, Arizona: A Centennial History of the First Prehistoric Reserve, 1892-1992  Administrative History. (PDF) (HTML edition) Denver: National Park Service, 1992. 237 p.
Krakow, Jere L. Administrative History of Castillo de San Marcos National Monument and Fort Matanzas National Monument. 132 p. plus illustrations, 1985. Kirkconnell, Barbara M. Catoctin Mountain Park: An Administrative History. 273 p., 1988. Rothman, Hal. "Shaping the Nature of a Controversy: The Park Service, the Forest Service, and the Cedar Breaks Proposal." Utah Historical Quarterly, Summer 1987, pp. 213-35. Pierson, Lloyd M. A History of Chaco Canyon National Monument. 120 p. plus appendix, 1956. Maruca, Mary. An Administrative History of the Chaco Project. 132 p., 1982. Roberts, Lois J. San Miguel Island: Santa Barbara's Fourth Island West. Carmel, CA: Cal Rim Books, 1991. 214 p.
Mackintosh, Barry. C & O Canal: The Making of a Park. 208 p., 1991. Young, April L. Saving the C and O Canal: Citizen Participation in Historic Preservation. 104 p. M.A. thesis, 1973. Paige, John C., and Jerome A. Greene. Administrative History of Chickamauga and Chattanooga National Military Park. 221 p. plus appendix and illustrations, 1983. Boeger, Palmer H. Oklahoma Oasis: From Platt National Park to Chickasaw National Recreation Area. Muskogee, OK: Western Heritage Books, 1987. 215 p.
Hatch, Charles E., Jr. The Evolution of the Concept of Colonial National Historical Park: A Chapter in the Story of Historical Conservation. 39 p., 1964. Look, Al. John Otto and the Colorado National Monument. Grand Junction, CO: Sandstone Publishing Co., 1962. 80 p.
Schoch-Roberts, lida. A Classic Western Quarrel: A History of the Road Controversy at Colorado National Monument (PDF) (HTML edition) Cultural Resources Selections No. 10, Intermountain Region. 147 p., 1997. Rametta, F.T. Congaree Swamp National Monument: An Administrative History. 1991. Binkley, Cameron and Steve, A. Davis.Cowpens NB: An Administrative History, (PDF) (HTML edition) Cultural Resources Stewardship, Southeast Regional Office, National Park Service, Atlanta, George, 2002.. 105 p., 2002. Unrau, Harlan D and Stephen R. Mark. Administrative History, Crater Lake National Park. 702 p. (in two volumes, plus three additional chapters), 1988, 1991, 2003, 2013. Louter, David. Craters of the Moon National Monument: An Administrative History. (PDF) (HTML edition) 389 p., 1992. Tinney, Edward E. History of Cumberland Gap National Historical Park. 75 p. plus illustrations and bibliography, 1965. Cockrell, Ron. Compendium of the Oral History Project for the Cuyahoga Valley Administrative History. 780 p., 1991. Cockrell, Ron. A Green Shrouded Miracle: The Administrative History of Cuyahoga Valley National Recreation Area,. 542 p., 1992. Catton, Theodore. To Make a Better Nation: An Administrative History of the Timbisha Shoshone Homeland Act. 123 p. 2009. Albert, Richard C. Damming the Delaware: The Rise and Fall of Tocks Island Dam. University Park, PA: Pennsylvania State University Press, 1987. 202 p.
Pearson, Grant H. A History of Mount McKinley National Park. 59 p. plus appendix, 1953. Norris, Frank. Crown Jewel of the North: An Administrative History of Denali National Park and Preserve, Volume I. 346 p., 2006. Norris, Frank. Crown Jewel of the North: An Administrative History of Denali National Park and Preserve, Volume II. 458 p., 2008. Whisnant, David E. and Anne Mitchell Whisnant. Small Park, Large Issues: De Soto National Memorial and the Commemoration of a Difficult History. 214 p., 2007. Johnson, Christoper E. Nature and History on the Sierra Crest: Devils Postpile and the Mammoth Lakes Sierra. 263 p., 2013. Daugherty, D. John. Devils Tower National Monument. 69 p., 1984. Beidleman, Richard G. Administrative History: Dinosaur National Monument. Variously paginated, n.d.
Harvey, Mark W. T. A Symbol of Wilderness: Echo Park and the American Conservation Movement. Albuquerque: University of New Mexico Press, 1994. 368 p.
Neel, Susan R. "Newton Drury and the Echo Park Dam Controversy." Forest & Conservation History 38, no. 2 (April 1994): 56-66. McKinley, Laura. An Unbroken Historical Record: Ebey's Landing National Historical Reserve Administrative History. (PDF) (HTML edition) 199 p., 1993. O'Bright, Jill York. The Perpetual March: An Administrative History of Effigy Mounds National Monument. (PDF) (HTML edition) 279 p., 1989. Mangum, Neil C. In the Land of Frozen Fires: A History of Occupation in El Maplais Country. (PDF) (HTML edition) 101 p., 1990. Sievers, Douglas W. El Morro: A Unit History. 20 p., 1970. Blythe, Robert W. Wilderness on the Edge: A History of Everglades National Park. Organization of American Historians, September 2017. 811 p.
Vance, Linda D. "May Mann Jennings and Royal Palm State Park." Florida Historical Quarterly 55, no. 1 (July 1976): 1-17. Leopold, Estella B. and Herbert W. Meyer. Saved in Time: The Fight to Establish Florissant Fossil Beds National Monument, Colorado. Albuquerque: University of New Mexico Press, 2012. 139 p.
Gomez, Phillip J. "Fort Bowie National Historic Site: The Evolution of a Unique Western Park." The Journal of Arizona History 25, no. 2 (Summer 1984): 171-90. Welsh, Michael. A Special Place, A Sacred Trust: Preserving the Fort Davis Story. (PDF) (HTML edition) Intermountain Cultural Resource Center Professional Paper no. 58. 292 p., 1996. Peterson, Gloria. Administrative History, Fort Donelson National Military Park. 116 p. plus illustrations, 1968. Mattes, Merrill J. Fort Laramie Park History, 1834-1977. 382 p. plus illustrations, 1980. Lessem, Harold I., and David A. Kimball. History of Fort McHenry as a National Monument and Historic Shrine. 60 p., c. 1955. Sypolt, Larry N. Fort Necessity: Civilian Conservation Corps (Camp SP-12) Administrative History 1935-1937. 50 p., 1988. Fort Pulaski National Monument Administrative History. 2003. p. 136. Binkley, Cameron and Davis, Steven Preserving the MysteryFort Raleigh National Historic Site Administrative History. 154 p., 2003. Greenwald, Emily and Joshua Pollarine. Reclaimed from Obscurity, Preserved for Posterity: An Administrative History of Fort Scott National Historic Site, Fort Scott, Kansas. 223 p., December 2013. Zenzen, Joan M. Reconstructing the Past, Partnering for the Future: An Administrative History of Fort Stanwix National Monument. 225 p., 2004. Comstock, Rock L., Jr. Short History, Fort Sumter. 50 p. plus appendixes, 1956. Croy, Douglas. Fort Union National Monument, New Mexico: The First Twenty-Five Years. 113 p. M.A. thesis, 1984. Liping Zhu. Fort Union National Monument: An Administrative History. (PDF) (HTML edition) Southwest Cultural Resource Center Professional Papers no. 42. 124 p., 1992. West, B. June. James West Arrott, The Moving Spirit of Fort Union, Incorporated: Another Chapter in the History of Fort Union, New Mexico. 43 p. plus appendixes, c. 1966. Merritt, Jane T. The Administrative History of Fort Vancouver National Historic Site. (PDF) (HTML edition) 262 p., 1993. Harley, Sharon. A Study of the Preservation and Administration of `Cedar Hill,' The Home of Frederick Douglass. 84 p., 1989. Happel, Ralph. A History of the Fredericksburg and Spotsylvania County Battlefields Memorial National Military Park. 79 p. plus appendixes and illustrations, 1955. Zenzen, Joan M. At the Crossroads of Preservation an Development: A History of Fredericksburg and Spotsylvania National Military Park  Administrative History. 455 p., August 2011. Kelleher, Michael. The Changing Standard of National Significance: How the New Environmentalism of the 1960s Redefined National Significance and Led to the Creation of Gateway National Recreation Area, the First Urban National Park. 77 p, 1995. Pitkin, Thomas M. General Grant National Memorial: Its History and Possible Development. 86 p. plus illustrations, 1959. Rothman, Hal K. Maintaining a Legacy: An Administrative History of George Rogers Clark National Historical Park. 356 p., 1994. Bruggeman, Seth C. George Washington Birthplace National Monument Administrative History, 1930-2000. 316 p., 2006. Toogood, Anna Coxe. Historic Resource Study and Administrative History, George Washington Carver National Monument. 81 p. plus appendixes and illustrations, 1973. Krahe, Diane L. and Theodore Catton. Walking in Credence: An Administrative History of George Washington Carver National Monument. 320 p., 2014. Unrau, Harlan D. Administrative History: Gettysburg National Military Park and Gettysburg National Cemetery, Pennsylvania. 444 p., 1991. Russell, Peter. Gila Cliff Dwellings National Monument: An Administrative History. (PDF) (HTML edition) Southwest Cultural Resources Center Professional Papers no. 48. 176 p., 1992. Diettert, Gerald A. Grinnell's Glacier: George Bird Grinnell and Glacier National Park. Missoula, MT: Mountain Press Publishing Co., 1992. 128 p.
Kauffmann, John M. Glacier National Park, Montana: A History of Its Establishment and Revision of Its Boundaries. 24 p. plus map, 1954. Robinson, Donald H., and Maynard O. Bowers. Through the Years in Glacier National Park: An Administrative History. West Glacier, MT: Glacier Natural History Assn., 1960. 127 p.
Black, Bruce W. A History of Glacier Bay National Monument, Alaska. 134 p., 1957. Catton, Theodore. Land Reborn: A History of Administration and Visitor Use in Glacier Bay National Park and Preserve. (PDF) (HTML edition) 398 p., 1995. Martin, Russell. A Story That Stands Like a Dam: Glen Canyon and the Struggle for the Soul of the West. New York: Henry Holt, 1989. 354 p.
Rothman, Hal K. and Daniel J. Holder Administrative History of the Golden Gate National Recreation Area. 2001. Rothman, Hal K. The Park that Makes Its Own Weather: An Administrative History of Golden Gate National Recreation Area. 2002. Anderson, Michael F. Polishing the Jewel: An Administrative History of Grand Canyon National Park. Grand Canyon, AZ: Grand Canyon Assn., 2000. 116 p.
Hughes, J. Donald. In the House of Stone and Light: A Human History of the Grand Canyon. Grand Canyon, AZ: Grand Canyon Natural History Assn., 1978. 137 p.
Hughes, J. Donald. The Story of Man at Grand Canyon. Grand Canyon, AZ: Grand Canyon Natural History Assn., 1967. 195 p.
Brown, Frederick L. Paiutes, Mormons, and Mericats: A History of Grand Canyon-Parashant National Monument. Seattle: USDI National Park Service Pacific-West Region. 2009. Cockrell, Ron. Grand Portage National Monument, Minnesota: An Administrative History. (HTML edition) 146 p., 1983. Jepson, Carl E. A Brief History of Grand Teton National Park. 54 p. plus appendix, 1952. Righter, Robert W. Crucible for Conservation: The Story of Grand Teton National Park. Boulder: Colorado Associated University Press, 1982. 192 p.
McChristian, Douglas C. Ranchers to Rangers: An Administrative History of Grant-Kohrs Ranch National Historic Site. 1977. Lambert, Darwin. Great Basin Drama. Niwot, CO: Roberts Rinehart Publishers, 1991. 255 p.
Trexler, Keith A. Lehman Caves: Its Human Story From the Beginning Through 1965. 66 p. plus appendixes, 1966. Geary, Michael M. Sea of Sand: A History of Great Sand Dunes National Park and Preserve. Norman: University of Oklahoma Press, 2016. 280 p.
Campbell, Carlos C. Birth of a National Park in the Great Smoky Mountains. Knoxville: University of Tennessee Press, 1960; rev. 1969, 1978. 154 p.
Lix, Henry W. Short History of the Great Smoky Mountains National Park. 126 p. plus appendixes, 1958. Pierce, Daniel S. The Great Smokies: From Natural Habitat to Natural Park. 2000. Fabry, Judith K. Guadalupe Mountains National Park: An Administrative History. Southwest Cultural Resources Center Professional Papers no. 19. 277 p., 1988. Baker, Thomas E. Redeemed from Oblivion: An Administrative History of Guilford Courthouse National Military Park. (HTML edition) 121 p., 1995. Ingram, Oliver B., Jr. The Preservation of Guilford Battleground. 119 p. M.A. thesis plus appendixes, 1972. Bowden, Jesse Earl. Gulf Islands: The Sands of All Time - Preserving America's Largest National Seashore. Eastern National Park and Monument Association, 143 pp., 1994. Jackson, Frances. An Administrative History of Hawaii Volcanoes National Park and Haleakala National Park. 272 p. (HAVO) plus 82 p. (HALE), 1972. Moyer, Teresa S., Kim E. Wallace, and Paul A. Shackel. "To Preserve the Evidences of a Noble Past": An Administrative History of Harpers Ferry National Historical Park. 425 p., 2004. Harvey, Bruce G. and Deborah Harvey. The Ordinary Home of an Extraordinary Man: Administrative History of Harry S Truman National Historic Site, Missouri. 274 p., 2017. Castro, Nash. 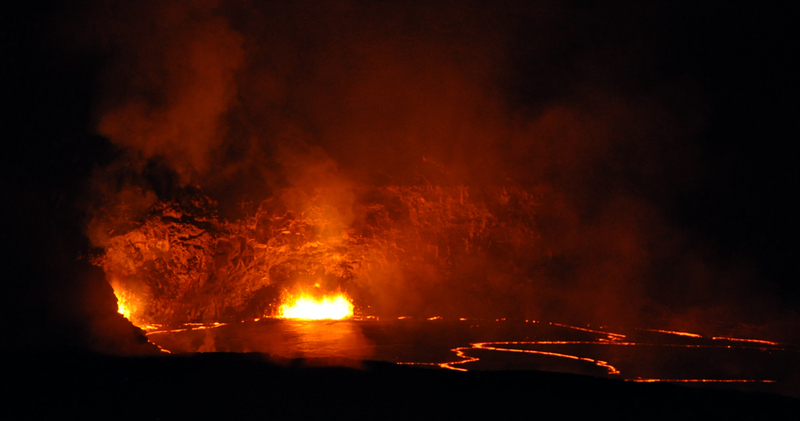 The Land of Pele: A Historical Sketch of Hawaii National Park. Hilo: Hawaii Natural History Assn., 1953. 76 p.
Mattison, Ray H. Homestead National Monument: Its Establishment and Administration. 35 p., 1961. Tecklenberg, Robert. Homestead National Monument of America: An Administrative History, 1962-1981. 17 p. plus appendixes and illustrations, 1982. Cockrell, Ron. Amidst Ancient Monuments: The Administrative History of Mound City Group National Monument / Hopewell Culture National Historical Park, Ohio. (HTML edition) 378 p. 1999. Glaser, Leah. Hopewell Furnace National Historic Site: Administrative History. 341p. 2005. Benson, Forrest M., and Donald S. Libbey. History of Hot Springs National Park. 43 p., 1955. Cockrell, Ron. The Hot Springs of Arkansas  America's First National Park: Administrative History of Hot Springs National Park. 572 p. 2014. Scully, Francis J. Hot Springs, Arkansas, and Hot Springs National Park. Little Rock: privately published, 1966. 446 p.
Manchester, Albert, and Ann Manchester. Hubbell Trading Post National Historic Site: An Administrative History. (HTML edition) Southwest Cultural Resources Center Professional Papers no. 46. 229 p., 1993. Greiff, Constance M. Independence: The Creation of a National Park. Philadelphia: University of Pennsylvania Press, 1987. 281 p.
Cockrell, Ron. "A Signature of Time and Eternity": The Administrative History of Indiana Dunes National Lakeshore, Indiana. (HTML edition) 480 p., 1988. Engel, J. Ronald. Sacred Sands: The Struggle for Community in the Indiana Dunes. Middletown, CT: Wesleyan University Press, 1983. 352 p.
Franklin, Kay, and Norma Schaeffer. Duel for the Dunes: Land Use Conflict on the Shores of Lake Michigan. Urbana: University of Illinois Press, 1983. 278 p.
Little, John J. Island Wilderness: A History of Isle Royale National Park. 243 p. Ph.D. dissertation, 1978. Bres, Edward S. Notes on the Establishment and Development of Chalmette Historical Park. 24 p. plus appendixes, 1964. Brown, Sharon A. Administrative History, Jefferson National Expansion Memorial National Historic Site. (PDF) (HTML edition) 187 p. plus appendixes, 1984. Moore, Bob. Urban Innovation and Practical Partnerships: An Administrative History of Jefferson National Expansion Memorial, 1980-1991. (PDF) (HTML edition) 462 p., 1994. Mark, Stephen R. Floating in the Stream of Time: An Administrative History of John Day Fossil Beds National Monument. (HTML edition) 302 p. 1996. Becker, Ralph E. Miracle on the Potomac: The Kennedy Center from the Beginning. Silver Spring, MD: Bartleby Press, 1990. 217 p.
King, Samuel, W. Egbert Schenck and Frank R. Givens. A History of Joshua Tree National Monument. 40 p. plus appendixes, 1954. Dilsaver, Lary M. Joshua Tree National Park: A History of Preserving the Desert  Administrative History. 369 p. March 2015. Norris, Frank B. Isolated Paradise: An Administrative History of the Katmai and Aniakchak National Park Units, Alaska. (PDF) (HTML edition) 539 p., 1996. Norris, Frank B. Tourism in Katmai Country: A History of Concessions Activity in Katmai National Park and Preserve. 200 p., 1992. Ringsmuth, Katherine. At the Heart of Katmai: An Administrative History of the Brooks River Area. (with Special Emphasis on Bear Management in Katmai National Park and Preserve 1912-2006) 330 p., 2013. Catton, Theodore. A Fragile Beauty: An Administrative History of Kenai Fjords National Park. 306 p., 2010. Capps, Michael A. Kennesaw Mountain National Battlefield Park: An Administrative History. 92 p., 1994. Massey, Gregory De Van. An Administrative History of Kings Mountain National Military Park. 168 p. plus bibliography and illustrations, 1986. Johnson, Julie A Wild Discouraging Mess: A History of the White Pass Unit of the Klondike Gold Rush NHP. 180 p. 2003. Norris, Frank B. Legacy of the Gold Rush: An Administrative History of Klondike Gold Rush National Historical Park. (HTML edition) 509 p., 1996. Godfrey, Anthony. Contact With Northern Plains Indian Villages and Communities: An Administrative History of Knife River Indian Villages National Historic Site, North Dakota. 299 p. plus park brochure, 2009. Rothman, Hal K. and Daniel J. Holder. Balancing the Mandates: An Administrative History of Lake Mead National Recreation Area. 233 p., June 2002. McKay, Kathryn L. and Rend, Nancy F. Currents and Undercurrents: An Administrative History of Lake Roosevelt National Recreation Area. (HTML edition) 588 p., January 2002. Krahe, Diane L. and Theodore Catton. Little Gem of the Cascades: An Administrative History of Lassen Volcanic National Park. 422 p., University of Montana, September 2010. Gonzales, Jackie and Emily Greenwald. Commemoration and Collaboration: An Administrative History of the Lewis and Clark National Historic Trail. 494 p., 2018. Cannon, Kelly. Administrative History: Fort Clatsop National Memorial. (HTML edition) 210 p., 1995. O'Bright, Jill York. "There I Grew Up . . ." A History of the Administration of Abraham Lincoln's Boyhood Home. (HTML edition) 266 p., 1987. Townsend, Timothy P. "The Site Adrift in the City": The Evolution of the Lincoln Home Neighborhood. 100 p. M.A. thesis, 1995. Rickey, Don, Jr. History of Custer Battlefield. Crow Agency, MT: Custer Battlefield Historical and Museum Assn., 1967. 151 p.
Pitcaithley, Dwight T. Longfellow National Historic Site: A Preservation History. 7 p., 1986. Ryan, Loretta. Lowell in Transition: The Uses of History in Urban Change. 449 p. Ph.D. dissertation, 1987. Zenzen, Joan M. Battling for Manassas: The Fifty-Year Preservation Struggle at Manassas National Battlefield Park. 363 p., 1995. Julin, Suzanne. Administrative History, 1974-2006: Martin Van Buren National Historic Site. 169 p., July 2011. Smith, Duane A. Mesa Verde National Park: Shadows of the Centuries. Lawrence: University Press of Kansas, 1988. 254 p.
Torres-Reyes, Ricardo. Mesa Verde National Park: An Administrative History, 1906-1970. (HTML edition) 396 p. plus appendixes and illustrations, 1970. Zenzen, Joan. Bridging the Past: An Administrative History of Minute Man National Historical Park. 428 p., 2010. Harvey, Bruce G and Deborah Harvey. Managing the Mighty Mo: Administrative History of the Missouri National Recreational River, Nebraska and South Dakota. Outside the Box, LLC, 375 p., 2016. Nystrom, Eric Charles.From Neglected Space To Protected Place: An Administrative History of Mojave National Preserve. Great Basin CESU, 2003. Eason, Nicholas J. History of Montezuma Castle National Monument. 113 p., 1965. Protas, Josh A Past Preserved in Stone: A History of Montezuma Castle National Monument. Tucson, AZ: Western National Parks Association, 256 p., 2002. Gibbs, Russell A. A History of Moores Creek National Military Park. 37 p. plus appendixes and illustrations, 1965. Capps, Michael A. and Steven A. Davis. Moores Creek National Battlefield: An Administrative History. 1999. McIntyre, Robert N. Short History of Mount Rainier National Park. 361 p., 1952. Martinson, Arthur D. Mountain in the Sky: A History of Mount Rainier National Park. 174 p. Ph.D. dissertation, 1966. Martinson, Arthur D. Wilderness Above the Sound: The Story of Mount Rainer National Park. Flagstaff, AZ: Northland Press, 1986. 72 p.
Catton, Theodore Wonderland: An Administrative History of Mount Rainier National Park. (HTML edition) May 1996. Fite, Gilbert C. Mount Rushmore. Norman: University of Oklahoma Press, 1952. 272 p.
Phelps, Dawson A. Administrative History of the Natchez Trace Parkway. Paginated by chapter, 1965, annual updating to 1982. Dowd, Mary-Jane M., comp. Records of the Office of Public Buildings and Public Parks of the National Capital. Record Group 42, Inventory No. 16. Washington: National Archives and Records Administration, 1992. 158 p.
Heine, Cornelius W. A History of National Capital Parks. (PDF) (HTML edition) 161 p., 1953. Olszewski, George J. Dupont Circle. 70 p. plus illustrations, 1967. Olszewski, George J. Farragut Square. 40 p. plus illustrations, 1968. Mackintosh, Barry. The Making of a Monument: The Franklin Delano Roosevelt Memorial, 1955-1972. 48 p. plus illustrations and appendixes, 1972. Olszewski, George J. Franklin Park. 50 p. plus illustrations, 1970. Stanley, Joan H. Judiciary Square, Washington, D.C.: A Park History. 108 p. plus illustrations, 1968. Olszewski, George J. Lafayette Park. 65 p., 1964. Olszewski, George J. Lincoln Park. 55 p. plus illustrations, 1968. Olszewski, George J. Mt. Vernon Square. 41 p. plus illustrations, 1970. Olszewski, George J. The President's Park South. 69 p. plus illustrations, 1970. Olszewski, George J. History of the Mall. 111 p. plus appendixes, 1970. Rothman, Hal K. Navajo National Monument: A Place and Its People, An Administrative History. (PDF) (HTML edition) Southwest Cultural Resources Center Professional Papers no. 40. 173 p., 1991. Collins, Beryl R., and Emily W. B. Russell, eds. Protecting the New Jersey Pinelands: A New Direction in Land Use Management. New Brunswick, NJ: Rutgers University Press, 1988. 344 p.
Good, Gregory A. and Lynn Stasick. New River Gorge National River Administrative History. 374 p., 2008. Catton, Ted. Nez Perce National Historical Park Administrative History. (PDF) (HTML edition) 176 p. 1996. Rehm, Karen G. The Administrative History of Ninety Six National Historic Site. 35 p. plus appendixes, 1987. Sommarstrom, Allen R. Wild Land Preservation Crisis: The North Cascades Controversy. 169 p. Ph.D. dissertation, 1970. Louter, David Contested Terrain: An Administrative History of the North Cascades National Park Service Complex, Washington. (HTML edition) 338 p. plus appendices and index. 1998. Marsh, Alan. Ocmulgee National Monument: An Administrative History. 72 p. M.A. thesis, 1986. Rothman, Hal K. American Eden: An Administrative History of Olympic National Park. 395 p., Final Draft July 2006. Fringer, Guy. Olympic National Park: An Administrative History. 254 p., 1990. Lien, Carsten. Olympic Battleground: The Power Politics of Timber Preservation. 2nd Edition. Seattle: The Mountaineers Books. 447 p.
McLeod, Rebecca L. M. An American Wilderness: Olympic National Park. 158 p. M.A. thesis, 1984. Richardson, Elmo R. "Olympic National Park: Twenty Years of Controversy." Forest History 12 (April 1968): 6-15. Schene, Michael G. "Only the Squeal Is Left: Conflict Over Establishing Olympic National Park." The Pacific Historian 27 (Fall 1983): 53-61. Hoy, Wilton. Organ Pipe Cactus National Monument Administrative Historical Research. 138+ p., 1970. Jones, W. Dwayne. Padre Island National Seashore: An Administrative History (PDF) (HTML edition) 1999. Parrish, Alaric. Pea Ridge National Military Park Administrative History. 86 p., 1974. Olsen, Herbert. Poplar Grove National Cemetery History. 67 p. plus appendixes and illustrations, 1954. Wallace, Lee A., Jr., and Martin R. Conway. A History of Petersburg National Battlefield. 167 p. and 86 p. plus illustrations, 1983. Lubick, George M. Petrified Forest National Park: A Wilderness Bound in Time. Tucson: University of Arizona Press, 1996. 212 p.
Karamanski, Theodore J. The Pictured Rocks: An Administrative History of Pictured Rocks National Lakeshore. 161 p, 1995. Babalis, Timothy. The Heart of the Gabilans: An Administrative History of Pinnacles National Monument. 294 p. 2009. Oberg, Reta R. An Administrative History of Pinnacles National Monument. 314 p. plus appendixes, 1979. McKoy, Kathleen L. Cultures at a Crossroads: An Administrative History of Pipe Spring National Monument. (HTML edition) Cultural Resources Selections No. 15, Intermountain Region, 2000. Corbett, William P. A History of the Red Pipestone Quarry and Pipestone National Monument. 98 p. M.A. thesis, 1976. Murray, Robert A. A History of Pipestone National Monument, Minnesota. Pipestone Indian Shrine Association. 60 p., 1965. Murray, Robert A. Administrative History of Pipestone National Monument. 121 p., 1961. Rothman, Hal K., and Daniel J. Holder. Managing the Sacred and the Secular: An Administrative History of Pipestone National Monument. (HTML edition) 243 p. plus illustrations, 1992. Lage, Ann, and William Duddleson. Saving Point Reyes National Seashore: An Oral History of Citizen Action in Conservation. Berkeley, CA: Bancroft Library, 1993. 390 p.
Sadin, Paul. Managing a Land in Motion: An Administrative History of Point Reyes National Seashore. October 2007. 412 p.
The White House & Presidents Park Administrative History 1791-1983, Epilogue 1983-1997. 474 p., 2001. Strickland, Susan C. Prince William Forest Park: An Administrative History. (PDF) (HTML edition) 115 p. plus appendixes, 1986. Sproul, David Kent. A Bridge Between Two Cultures: An Administrative History of Rainbow Bridge National Monument. (PDF) (HTML edition) Cultural Resources Selections No. 18, Intermountain Region. 2001. 231 p.
Schrepfer, Susan R. The Fight to Save the Redwoods: A History of Environmental Reform, 1917-1978. Madison: University of Wisconsin Press, 1983. 338 p.
Spence, Mark David. Watershed Park: Administrative History Redwood National and State Parks. 423 p. 2011. Willett, John T. A History of Richmond National Battlefield Park. 95 p. plus illustrations, c. 1965. Skiles, Raymond, ed., John Morlock and George Simmons. An Administrative History of the Rio Grande Wild and Scenic River with Focus on Major Concerns and Public Comment. (PDF) (HTML edition) 27 p., 1988. Davis, Timothy. Rock Creek and Potomac Parkway: History and Description. 159 p. plus 36 drawings, 1992. Mackintosh, Barry. Rock Creek Park: An Administrative History. (PDF) (HTML edition) 127 p., 1985. Buchholtz, C. W. Rocky Mountain National Park: A History. Boulder: Colorado Associated University Press, 1983. 255 p.
Fazio, Patricia M. Cragged Crusade: The Fight for Rocky Mountain National Park, 1909-15. 195 p. M.S. thesis plus appendixes, 1982. Hess, Karl, Jr. Rocky Times in Rocky Mountain National Park: An Unnatural History. Niwot, CO: University Press of Colorado, 1993. 167 p.
Musselman, Lloyd K. Rocky Mountain National Park Administrative History, 1915-1965. (HTML edition) 251 p., 1971. Poyas, Frank B. "Twenty-Fifth Anniversary History of the Roosevelt Campobello International Park and Commission." Roosevelt Campobello International Park Commission Twenty-Fifth Anniversary, 1964-1989, Roosevelt Campobello International Park Commission 1988 Annual Report, pp. 9-13. Burtner, Marcus. Crowning the Queen of the Sonoran Desert: Tucson and Saguaro National Park: An Administrative History. 234 p., 2011. Karamanski, Theodore J. Saving the Saint Croix: An Administrative History of the Saint Croix National Scenic Riverway. 264 p., 1993. Chase-Harrell, Pauline, Carol Ely, and Stanley Moss. Administrative History of the Salem Maritime National Historic Site. 238 p., 1993. Cannon, Kelly June. San Juan Island National Historical Park Administrative History. (HTML edition) 167 p. 1997. Cockrell, Ron. Scotts Bluff National Monument, Nebraska: An Administrative History, 1960-1983. 196 p., 1983. Dilsaver, Lary M., and Douglas H. Strong. "Sequoia and Kings Canyon National Parks: One Hundred Years of Preservation and Resource Management." California History 69, no. 2 (Summer 1990): 98-117. Dilsaver, Lary M., and William C. Tweed. Challenge of the Big Trees: A Resource History of Sequoia and Kings Canyon National Parks. Three Rivers, CA: Sequoia Natural History Assn., 1990. 379 p.
Strong, Douglas H. A History of Sequoia National Park. 336 p. Ph.D. dissertation, 1964. Lambert, Darwin. Shenandoah National Park Administrative History, 1924-1976. 464 p., 1979. Lambert, Darwin. The Undying Past of Shenandoah National Park. Niwot, CO: Roberts Rinehart, Inc., 1989. 330 p.
Simmons, Dennis E. The Creation of Shenandoah National Park and the Skyline Drive, 1924-1936. 213 p. Ph.D. dissertation, 1978. Shedd, Charles E., Jr. A History of Shiloh National Military Park. 65 p. plus appendixes and illustrations, 1954. Sargent, Liz, Deborah Slaton and Timothy Penich. Administrative History, Shiloh National Military Park 396 p. June 2018. Antonson, Joan M., and William S. Hanable. Sitka National Historical Park: An Administrative History. (HTML edition) 162 p. plus appendixes, 1987. Karamanski, Theodore J. A Nationalized Lakeshore: The Creation and Administration of Sleeping Bear Dunes National Lakeshore. 2000. Kaufman, Ned. Conflicting Goals for a National Park: The Historic Arsenal at Springfield, 1968-2008, Springfield Armory National Historic Site Administrative History. 412 p., July 2010. Blumberg, Barbara. Celebrating the Immigrant: An Administrative History of the Statue of Liberty National Monument, 1952-1982. 158 p. plus illustrations, 1985. Holland, F. Ross. Idealists, Scoundrels, and the Lady: An Insider's View of the Statue of Liberty-Ellis Island Project. Urbana: University of Illinois Press, 1993. 266 p.
Hugins, Walter. Statue of Liberty National Monument: Its Origin, Development, and Administration. 106 p., 1958. Willett, Ann Wilson. A History of Stones River National Military Park. 127 p. M.A. thesis plus appendixes, 1958. Sirna, Angela and Rebecca Conard. Stones River National Battlefield Administrative History. 170 p. November 2016. Tallgrass Historians L.C. Tallgrass Prairie National Preserve Legislative History, 1920-1996, Administrative History. 1998. Harmon, David. At the Open Margin: The NPS's Administration of Theodore Roosevelt National Park. Medora, ND: Theodore Roosevelt Nature and History Assn., 1986. 277+ p.
Iorio, Ralph. The History of Timpanogos Cave National Monument. 39 p. plus appendixes, 1968. Ringenbach, Ray B. A Short History of Tumacacori National Monument. 21 p. plus appendixes, 1955. Curtis, Mary E. The Aginners and Others: A Case Study of Citizen Protest on the Upper Delaware Scenic and Recreational River. 186 p. M.A. thesis, 1988. Harpster, James D. Pearl Harbor Remembered: December 7, 1941-December 7, 1991. 99 p., 1993. Slackman, Michael. Remembering Pearl Harbor: The Story of the USS Arizona Memorial. Honolulu: Arizona Memorial Museum Assn., 1986. 112 p.
Treese, Lorett. Valley Forge: Making and Remaking a National Symbol. University Park: Pennsylvania State University Press, 1995. 269 p.
Unrau, Harlan D. Administrative History: Valley Forge National Historical Park. 756 p., 1985. Snell, Charles W. An Administrative History of Vanderbilt Mansion National Historic Site, Hyde Park, New York, 1939-1955. 181 p., 1956. Meyers, Richard. The Vicksburg National Cemetery: An Administrative History. 199 p. plus appendixes and illustrations, 1968. Witzig, Fred T. "The Crane Lake Issue in the Establishment of Voyageurs National Park." Upper Midwest History 3 (1983): 41-53. Zenzen, Joan M. Building a Park for All: A History of Voyageurs National Park, Minnesota. 313 p., 2017. Olszewski, George J. A History of the Washington Monument, 1844-1968. 70 p. plus appendixes, 1971. Torres, Louis. "To the Immortal Name and Memory of George Washington": The United States Army Corps of Engineers and the Construction of the Washington Monument. Washington: Corps of Engineers, 1984. 145 p.
Schneider-Hector, Dietmar. White Sands: The History of a National Monument. Albuquerque: University of New Mexico Press, 1993. 268 p.
Welsh, Michael. Dunes and Dreams: A History of White Sands National Monument. (HTML edition) Intermountain Cultural Resource Center Professional Paper no. 55. 213 p., 1995. Crabtree, Jennifer. Administrative History: Whitman Mission National Historic Site. 375 p., 1988. Lee, Antoinette J. William Howard Taft: An Administrative History. 129 p. plus appendixes, 1986. Bohi, John W. 75 Years at Wind Cave: A History of the National Park. 118 p., 1962. Mackintosh, Barry. Wolf Trap Farm Park: An Administrative History. 139 p., 1983. Conard, Rebecca. "All Men and Women are Created Equal:" An Administrative History of Women's Rights National Historical Park. 450 p., 2012. Slackmn, Michael. USS Arizona Memorial and Visitor Center Administrative History. 102 p., 1982. Lappen, Michael Anthony. Whose Promised Land? A History of Conservation and Development Management Plans for the Wrangell and Saint Elias Mountains Region, Alaska, 1938-1980. 259 p. M.A. thesis, 1984. Bleakley, Geoffrey T. Contested Ground: Administrative History of Wrangell-St. Elias National Park and Preserve. 383 p., 2002. Amundson, Theodore A. Wright Brothers National Memorial: An Administrative History, 1968-1987. 5 p. plus appendixes, 1987. Hewes, Andrew M. Wright Brothers National Memorial: An Administrative History. 105 p. plus illustrations, 1967. Bartlett, Richard A. Yellowstone: A Wilderness Besieged. Tucson: University of Arizona Press, 1985. 437 p.
Chase, Alston. Playing God in Yellowstone: The Destruction of America's First National Park. New York: Atlantic Monthly Press, 1986. 446 p.
Haines, Aubrey L. Yellowstone National Park: Its Exploration and Establishment., 1968. Haines, Aubrey L. The Yellowstone Story: A History of Our First National Park. Yellowstone National Park: Yellowstone Library and Museum Assn., 1977. 2 vols. Jurale, James A. A History of Winter Use in Yellowstone National Park. 210 p. M.A. thesis, 1986. Vick, Denise S. Yellowstone National Park and the Education of Adults. 344 p. Ph.D. dissertation, 1986. Rydell, Kiki Leigh and Mary Shivers Culpin. Managing the "Matchless Wonders": A History of Administrative Development in Yellowstone National Park, 1872-1965. 231 p., 2006. Demars, Stanford E. The Tourist in Yosemite, 1855-1985. Salt Lake City: University of Utah Press, 1991. 168 p.
Runte, Alfred. Yosemite: The Embattled Wilderness. Lincoln: University of Nebraska Press, 1990. 271 p.
Russell, Carl P. One Hundred Years in Yosemite: The Story of a Great Park and Its Friends. Berkeley: University of California Press, 1947. 175 p.
Markoff, Dena S. An Administrative History: Decision-Making That Shaped Zion National Park, 1909 to 1981. 280 p., 1982. This Website is not affiliated with the National Park Service (NPS). Due diligence has been employed in the conversion of these documents into electronic format so as to maintain the accuracy of the original  these electronic editions are neither endorsed by, nor in affiliation with, the agencies who originally created these works.